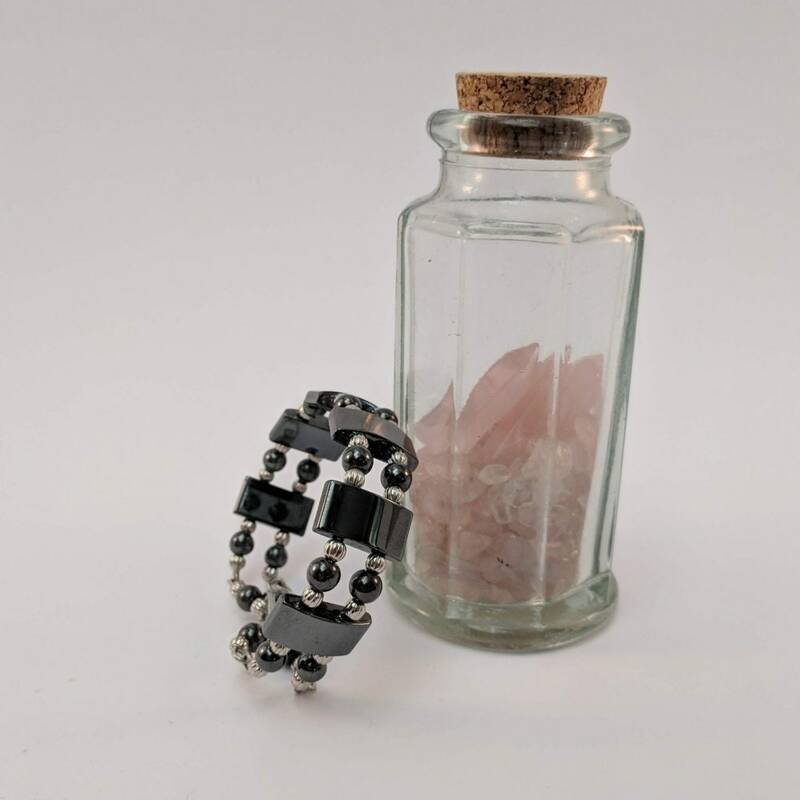 Yin/Yang Energy Bracelet! 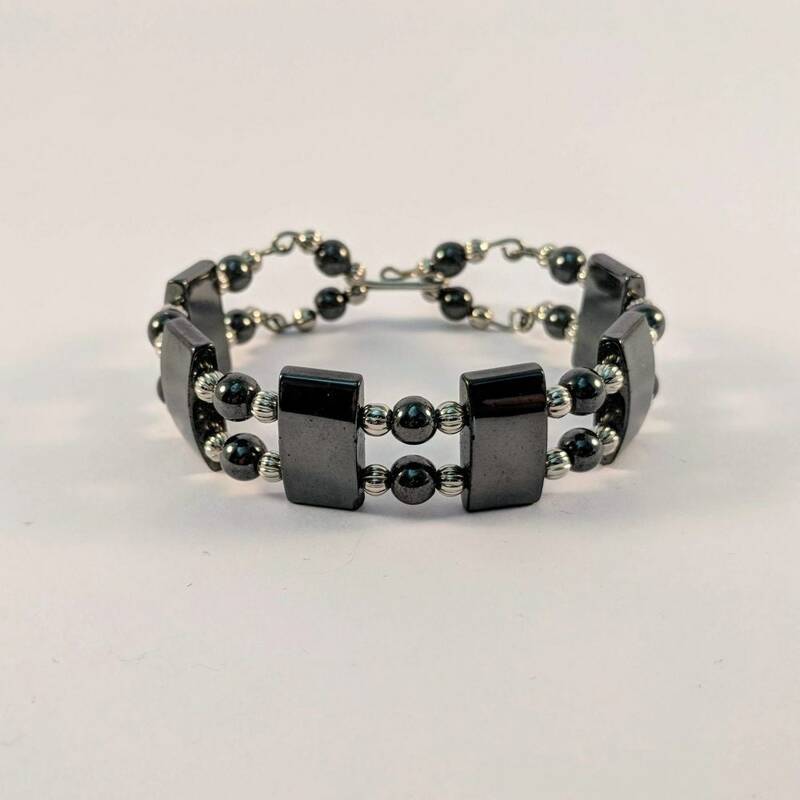 Six 10 x 18mm domed magnetic hematite rectangles make up the body of this bracelet. 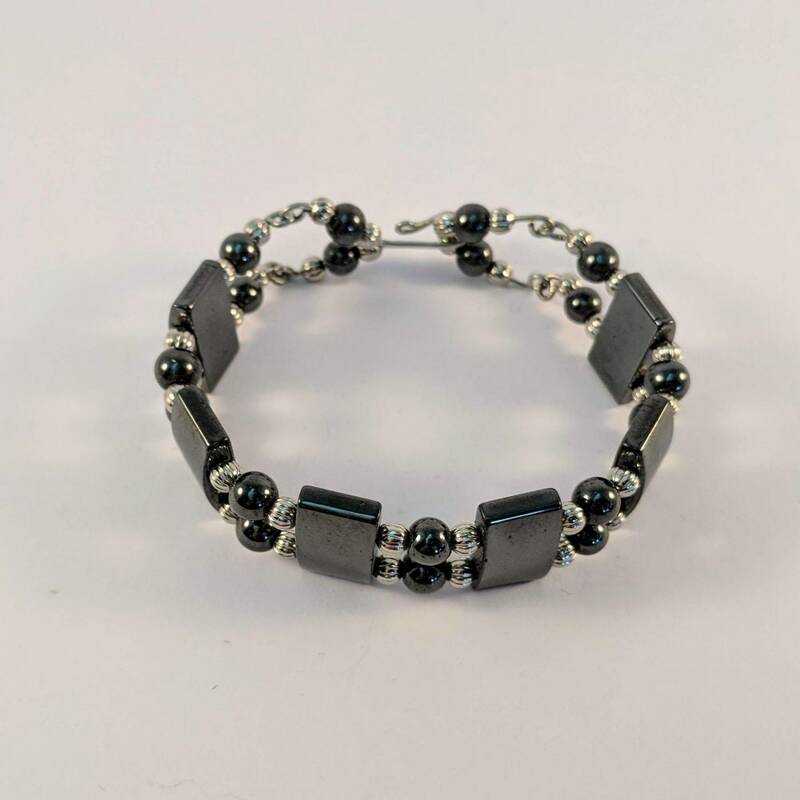 They are separated by 6mm round hematite beads and 4mm metal beads. All are on a wire framework that has a handmade hook and eye closure that contains matching round beads. Approx. 7 inches around. Other lengths can be ordered. Available in plated silver. Sterling Silver available by custom order only. Contact us if interested. We ship via USPS Priority Mail - Insured for safety and so that you will receive your order in 2-3 days, plus you can track your package on-line. 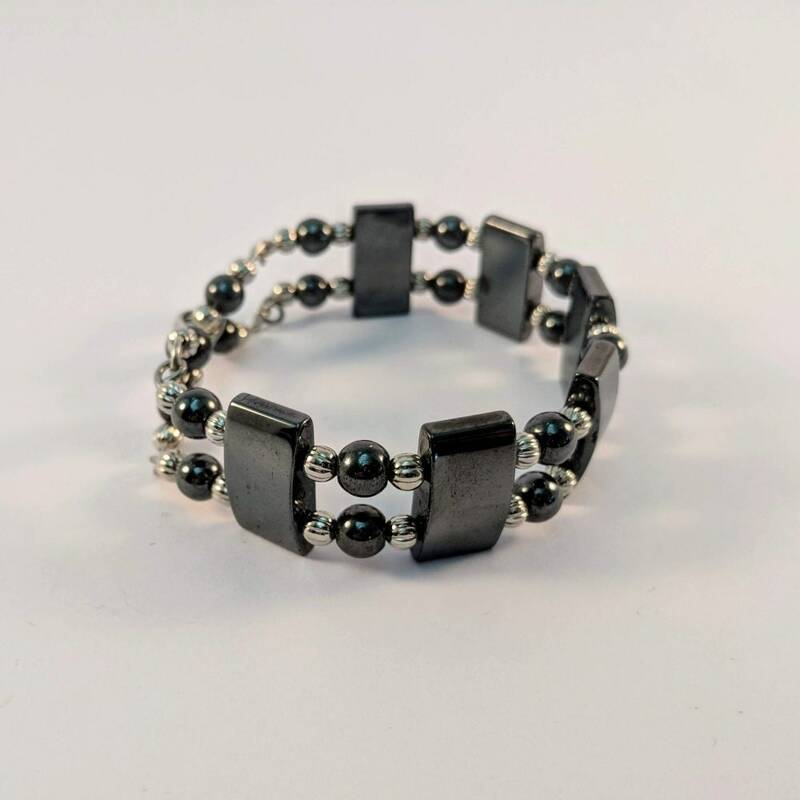 Hematite, sold in Italy and elsewhere as "Volcano Spit" which is its name from folk lore, contains opposite energies - male/female, yin/yang - allowing the balancing of both and the manifestation of Light. It lends strength and courage while moving through adversity which enables one to see the silver lining in dark clouds and the light at the end of the tunnel. 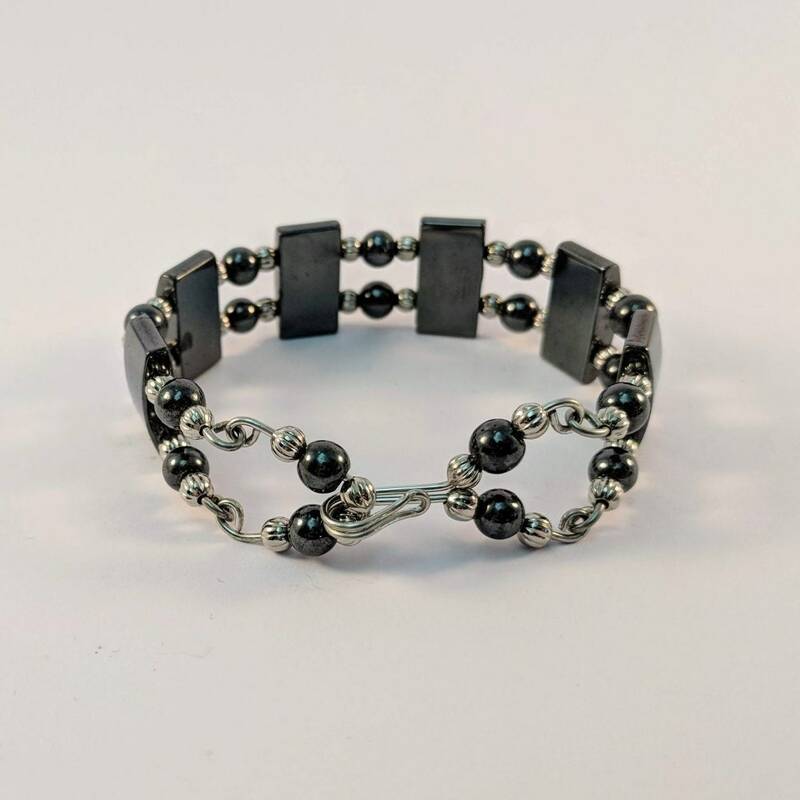 Magnetic Hematite - Regulates energy field and protects against draining of energy. It can help calm emotional outbursts.